Abstract : This paper presents a new framework for modeling light interception by isolated trees which makes it possible to analyze the influence of structural tree organization on light capture. The framework is based on a multiscale representation of the plant organization. Tree architecture is decomposed into a collection of components representing clusters of leaves at different scales in the tree crown. The components are represented by porous envelopes automatically generated as convex hulls containing components at a finer scale. 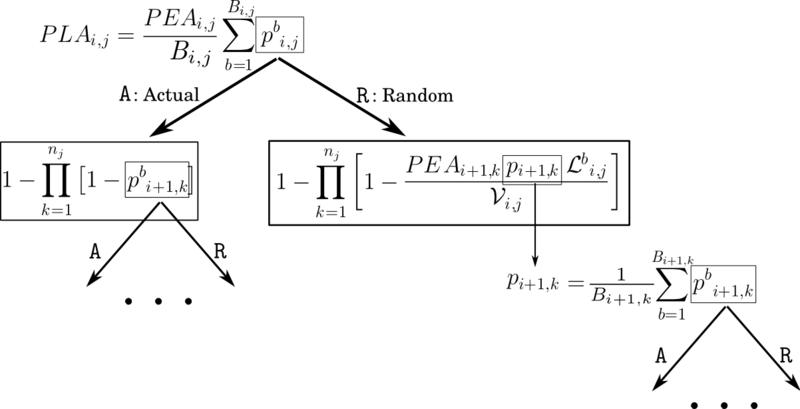 The component opacity is defined as the interception probability of a light beam going through its envelope. 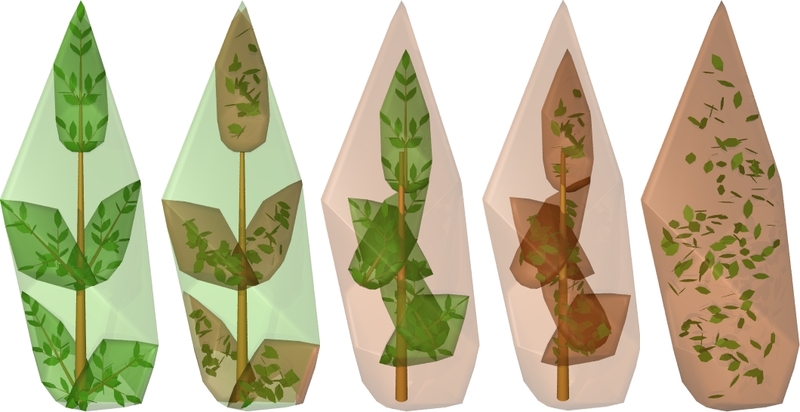 The role of tree organization on light capture was assessed by running different scenarii where the components at any scale were either randomly distributed or localized to their actual 3D position. The modeling framework was used with three-dimensional digitized fruit trees, namely peach and mango trees. A sensitivity analysis was carried out to assess the effect of the spatial organization in each scale on light interception. This modeling framework makes it possible to identify a level of tree description that achieves a good compromise between the amount of measurement required to describe the tree architecture and the quality of the resulting light interception model.